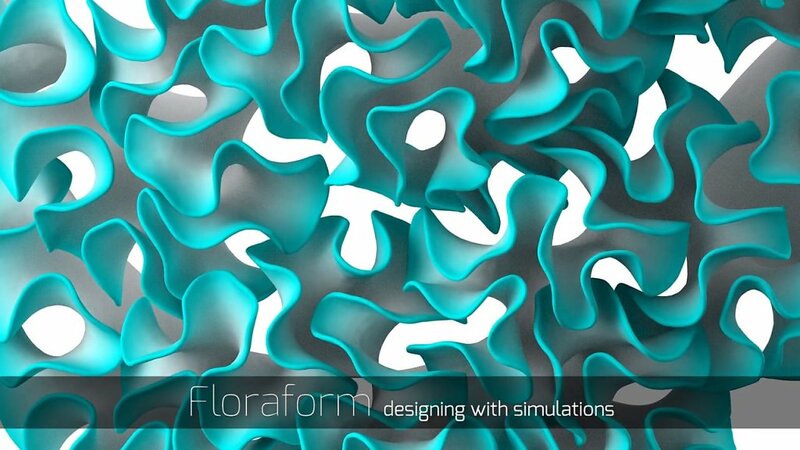 Floraform is a generative design system inspired by the biomechanics of growing leaves and blooming flowers which explores the development of surfaces through differential growth. 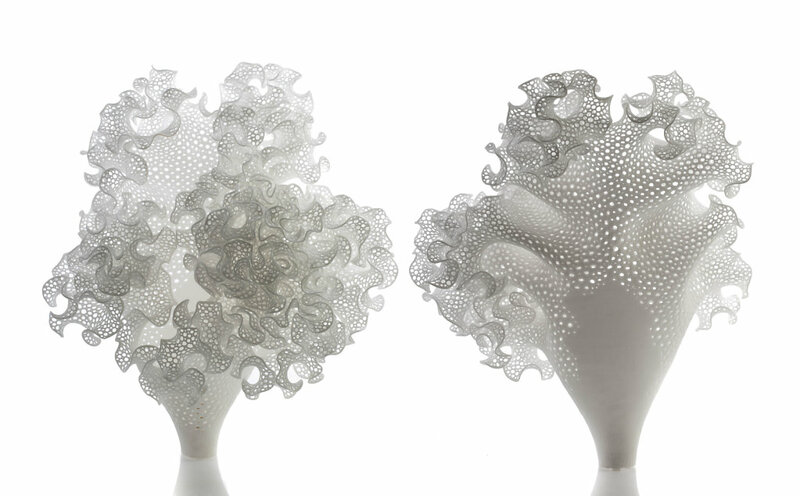 We created a simulation of a differentially growing elastic surface that functions as a digital garden. Within the system, we can explore how biological systems create form by varying growth rates through space and time. 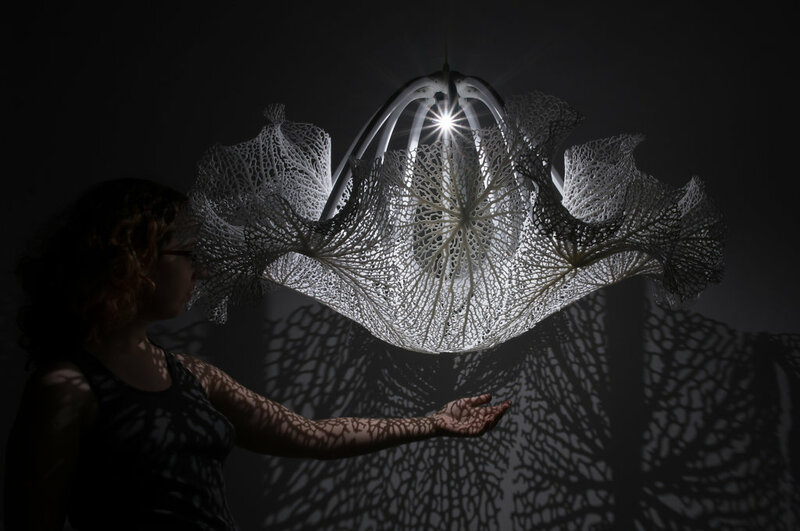 Many of these experiments have been materialized as 3D-printed sculptures and wearable adornments. 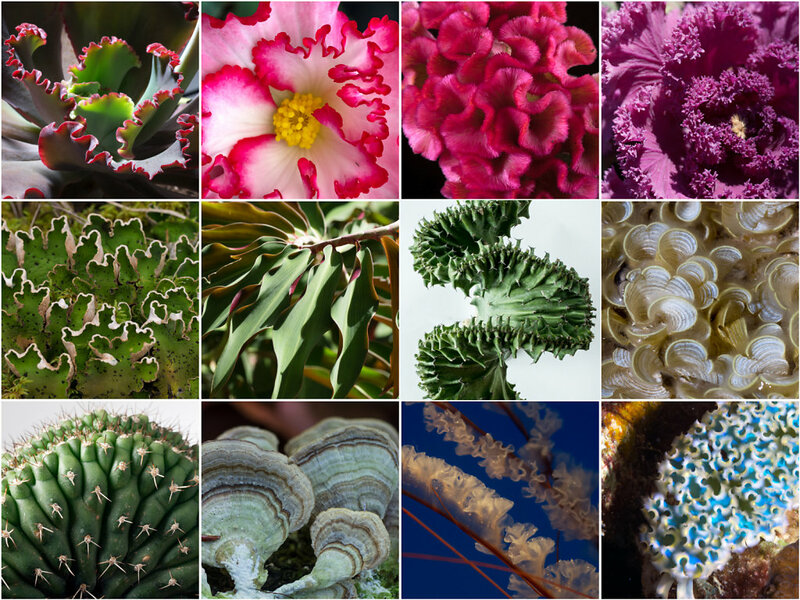 We consider this work a kind of digital gardening, except instead of growing plants we’re cultivating algorithms. We developed a set of mechanisms that allowed us to control, manipulate, and sculpt the growing process. These act as a set of material and environmental conditions that we can vary through space and time to produce finely differentiated structures. 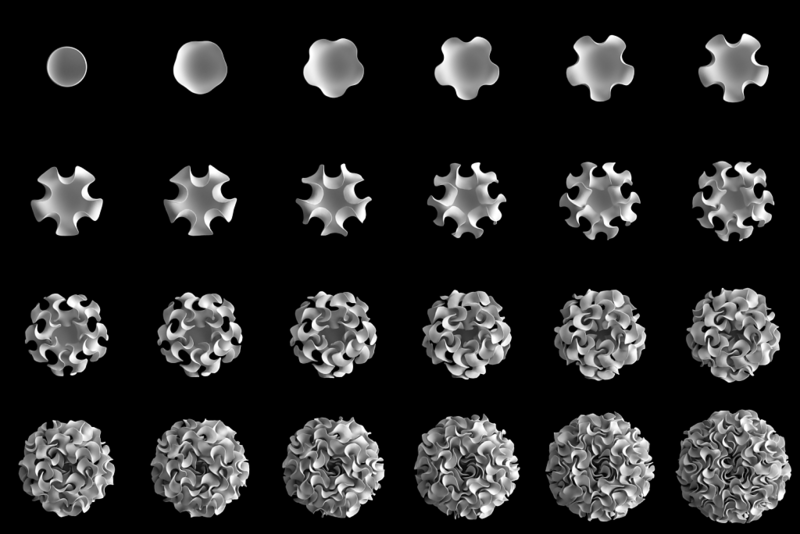 We started developing Floraform after coming across a paper by L. Mahadevan (“Growth, geometry and mechanics of the blooming lily”) and a particularly interesting mutant flower, Celosia Cristata, whose unique brain-like form seems like it could be explained by the simple growth mechanism proposed by Mahadevan, grow more at the edge. The papers and flower inspired us to create a system for exploring growth digitally, a way to translate this natural growth mechanism into a design tool.